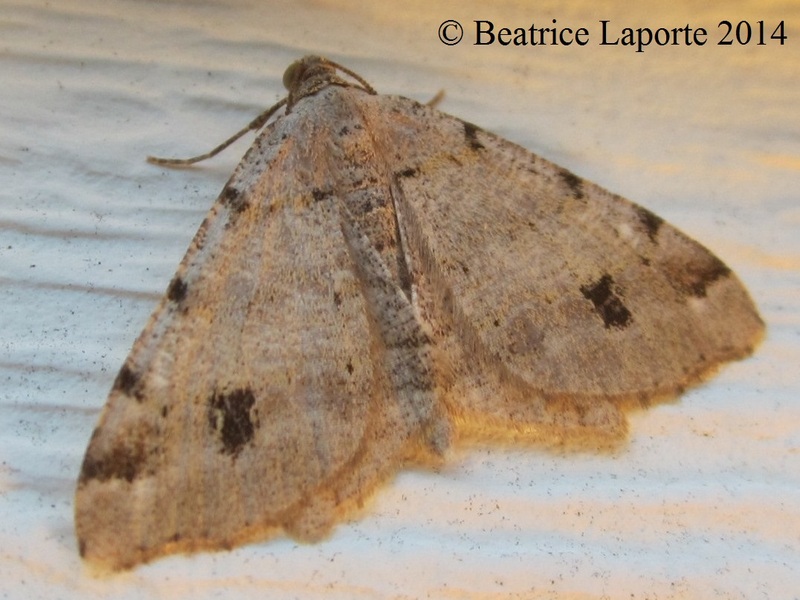 Identification: Wings powdery brownish gray, less mottled than in White Pine Angle or Granite Moth. Spots along costa and in lower st. area of forewing heavy blackish brown--st. spot larger and darker than in White Pine Angle. Caterpillar Hosts: Eastern and Carolina hemlocks.